Dr. S Radhakrishnan in his book Religion and Society stressed the fact that Communism is a barren Western emasculation of Western creed. Communism, with all its scientific reason, humanism, and economic equality, is essentially a totalitarian doctrine, negating individual liberty, and is a typical, almost exclusive, Western concept. Communism stresses the primacy of reason, but, like a misionary religion, it has a sense of its own infallibility and an obligation to world-wide expansion. Its greatest exponents have mainly been Western or Western-trained. (source: India and World Civilization By D. P. Singhal Pan Macmillan Limited. 1993 Part II p. 275). Refer to Communismwatch and cpmterror. "To live without faith is impossible. If nature has horror of vacuum, the human soul has fear of emptiness. One must believe, no matter what. The spiritual homelessness of modern man cannot last long. To belong nowhere, to be incapable of committing oneself, is to be isolated. It is not ease but a personal burden. We must win back over lost security." Communism condemns religion because it assumes that it is a type of transcendental idealism, whose heaven is outside the historical process. The reliance of the Communists on Marx, Engles, Lenin and Stalin reminds one of the dependence of religious people on scriptural texts. As a matter of fact, there is hardly any phase in the history of communism that has not its parallel in the history of Christianity. The late Nicholas Berdyaev, (1874-1948), Russian theologian and a religious philosopher with an inside knowledge of Russian communism, suggests that the attitude of communism to religion, is so hostile because “it wants to be a religion itself.” “It is built, he says, “after the pattern of the Catholic and Orthodoz theocracies, but the pattern is reversed.” Communism is belief without God; it is the religion of atheism. Communism developed because religious people betrayed their responsibility. Communism may be called a Christian heresy, a heresy because it is opposed to Christian orthodoxy but not necessary to Christian truth and Christian principles. Communism is a judgment on the defects of religious practice. The Marxist hope is wholly materialist and devoid of any sense of mystery. Man is intended not only to understand and construct but also to wonder and admire. Science gives us power, not vision, strength, not sanction. Man is not body and mind; he is also spirit. T S Eliot in his poem “The Wastelands” describes the decomposition of modern civilization, the lack of conviction and direction, the poverty, confusion and meaninglessness of modern consciousness. This atmosphere of negative thought is responsible for the increase of mental cases in the modern world, according to G. Jung. Under such guidance, religious illiteracy has been steadily increasing and civilization is getting detached from its roots. “European man,” says Berdyaev, “stands amid a frightening emptiness. He no longer knows where the keystone of his life may be found, beneath his feet he feels no depth of solidity.” Nihilism is the last word of metaphysics which refuses to go beyond the surface appearances. We see, on all sides, a violent loosening of the familiar bonds, a snapping of the strands that hold a civilization together. (source: Recovery of Faith - By Dr. S Radhakrishnan p. 38 - 72). Refer to Communismwatch and cpmterror. Religions can turn some men into beasts. Marxism is a religion. It has turned many men into beasts—Stalin, Mao, Pol Pot, to mention a few. Karl Marx was a Jew. He was Jewish in his inflexible views, Jewish in his hatred of the bourgeoisie and Jewish in his uncompromising character. In short, he was truly in the Semitic tradition. Like his rabbi ancestors, says Northcote Parkinson, Marx saw the world as a place of conflict between good and evil, between labour and capital, between the proletariat and the bourgeoisie. Thus, Marx did it all over again—he divided mankind into two enemy camps, just as Christianity and Islam had done before. Result? The Second World War and the Cold War. Semitic religions are said to be revealed. By how many gods—one, two or three—we do not know. The holy books speak in contradictory voices. One speaks in favour of non-violence, another in favour of violence. But each is declared to be true and infallible. How? Because, they say, the books were divinely inspired. This is the Semitic fallacy. And Marxism is a victim of this fallacy. It too was claimed to be infallible by its followers. In contrast, Hinduism is a quest for truth. It has complete freedom of enquiry. 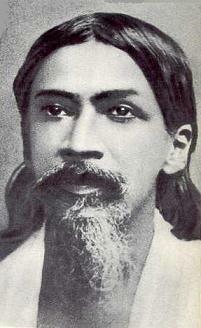 Hindus do not believe in the ‘infallibility’ of any doctrine or in the ‘last words’ or in the ‘last prophet’. If the communist movement failed to attract even ten per cent of the Indian population, one can well understand. The poor refused to put their trust in its promises. What is more, Marxism was a product of European experience. It need not be relevant to us. Indian could have highlighted the ethical part of Marxism and rejected its violence. But Indian communists were small men—Lilliputs. They could not have asserted their views. They had no idea that Marxism belonged to the Semitic tradition, utterly alien to the Hindu ethos. 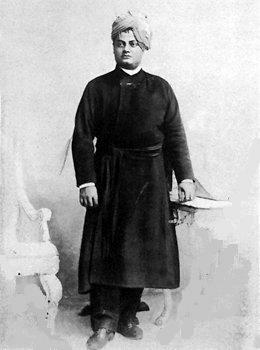 Swami Vivekananda, Sri Aurobindo and Mahatma Gandhi were all devout Hindus. The communist movement naturally failed to attract the best men from among the Hindus (not one communist came up to the stature of a Vivekananda, Aurobindo, Gandhi or Nehru. Why? (For more refer to chapter on Greater India: Suvarnabhumi and Sacred Angkor). The communist movement naturally failed to attract the best men from among the Hindus (not one communist came up to the stature of a Vivekananda, Aurobindo, Gandhi or Nehru). Why? Because Marxism with its emphasis on violence was utterly alien to the Indian ethos. What was more, India had seen the calamitous result of the mindless violence of the Muslims for six long centuries in India. And how could the Hindus have accepted a faith that sought to split their ranks, when they were face to face with a new hostile force—imperialism? Having rejected the past of India as ‘mumbo-jumbo’, the Indian communists ceased to be Indians. But did they take roots in European civilisation? They did not. They dismissed it as ‘bourgeois filth’. So, the Indian communist was and is a rootless creature, who pretends to be a world citizen. They admit today that they committed great ‘blunders’. But that is what Christianity too admits—that it had committed many great blunders (only Islam refuses to do so.) So, what happend to the ‘infallibility’ of their doctrines? The Russian communists had no experience in building a socialist society. But they believed in the infallibility of Marx and Lenin. In fact, they were over-bearing, over-confident and impatient with dissenters. It was all a repetition of early Christianity and Islam. The Russian people paid the highest price in history for these follies. And when Gorbachev launched his glasnost and perestroika, he knew even less how to unscramble the rotten system, not to speak of reconstructing it in freedom. Again, the people paid a high price. In all, they lost a century, and about 50 million people. Was anything in the world worth this price? Even if Russia had taken to the capitalist road, it would have become one of the greatest economic powers in the world. And that without paying any price. But Marxism exacted a heavy price from very many peoples and nations. Who was at fault? First of all, the Semitic legacy of Europe. The unfailing faith in the ‘dictatorship of the proletariat’ reminds us of “My community can never err.” That workers could be the larger part of the cause for the debacle of communism everywhere could never enter the head of the communists. It was the same with the pioneers of Christianity and Islam. They could never believe that their faith could pass into the hands of evil men. And when the evil men took them over and started their tyranny, they took the silence of the majority as approval of their tyranny. Marxists made other mistakes: they believed that men work for the public good. They do not. Men work for their personal advancement. Marxists believe that capitalists are parasites. But it is their sacrifice which helped the early capital formation. 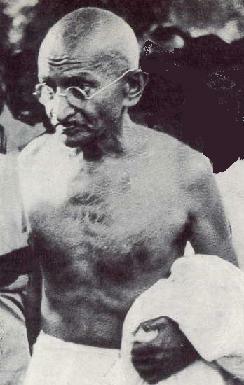 Gandhi never believed in systems. In fact, he was an enemy of systems. Systems create false faith. He put his entire faith in the human potential—in man's ability to transform himself to a higher being.Yes, we can transform the world. But before that, we must transform men. Only on the foundation of human worth can we build a good society. (source: Marxists: Victims of the Semitic fallacy - By M S N Menon - organiser.org). Also refer to The Communist Conspiracy.and to Communismwatch and cpmterror. Nobel Prize winning author V.S. Naipaul says that India and China "will completely alter the world" although he bemoans there "are no thinkers in India". 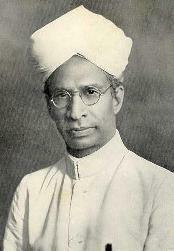 "It's a rather calamity of India today that there are no thinkers. A big country, a powerful country of a billion people. There are no thinkers in India. What is important today is the economic development of India and China that will completely alter the world," Naipaul told The New York Times in an interview. In contrast "nothing that is happening in the Arab world has that capacity", Naipaul said, adding, "It has capacity for mischief. They are spreading their little wars to Indonesia, the Philippines and all these other places. But that's just mischief. What's happening in India and China will bend the world and will change it forever." Naipaul, whose writings about the world of Islam and its troubles have been considered prophetic, had a sobering view of the Sep 11 terror attack on America. "What happened on Sep 11 was too astonishing. It is one of a kind, can't happen again. But in the end it has had no effect on the world. It has just been a spectacle like a bank raid in a western film. They will be caught by the sheriff eventually but they'd raid a few banks," he said. On the Arab world he said "intellectually it is a great tyranny. Because it is a tyranny people's can't grow intellectually and be on the level of the world they envy. But it has always been like that. Religion has always been a tyranny and it becomes an expression of state power." 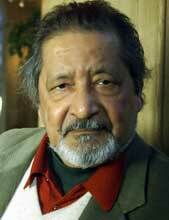 (source: There are no thinkers in India: Naipaul - msn.com.in). Refer to Communismwatch and cpmterror. Pura Luhur Uluwatu is one of Bali’s ‘directional temples’ (kayangan jagat) and guards Bali from evil spirits from the SW.
Pura Luhur, Uluwatu is also one of Bali's important Sad Kahyangan temples, in which dwell major deities—in Uluwatu's case; Bhatara Rudra, God of the elements and of cosmic force majeures. In the 15th Century the great pilgrim priest Dhang Hyang Dwijendra, who established the present form of Hindu-Dharma religion, chose Pura Uluwatu as his last earthly abode: history records that Dwijendra achieved moksa (oneness with the godhead, in a flash of blazing light) while meditating at Uluwatu. The temple is regarded, by Brahman's island wide, as his holy 'tomb'. Legend also tells us that Dwijendra was the architect of the beautiful temple, as well as many other major temples on Bali, Lombok and Sumbawa. This means that the temple affects the island as a whole and has meaning for all Balinese, not just the Uluwatu locals. During the Galungan festival (the most important event in the Balinese calendar that occurs every 210 days and celebrates the victory of good over evil) people from all over Bali come to worship here. Pura Uluwatu is located on the cliff top close to the famous surf break on the SW of the Bukit peninsula. The temple was founded in the 10th century by Empu Kuturan, a Javanese Hindu priest who built the tiered ‘meru’ and a shrine here as well as at other key locations long the Balinese coast. 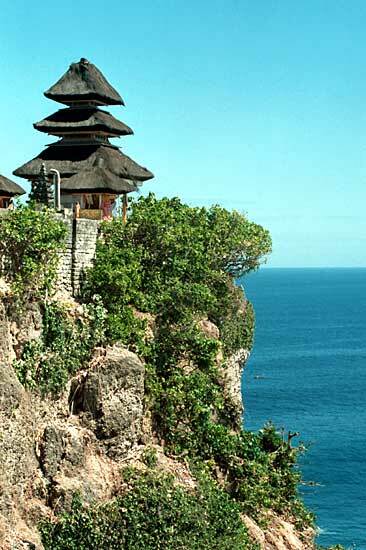 In the 17th century Niratha also from Java came to Bali and built temples, adding to Uluwatu. Tanah Lot is located in the Tabanan district southwest on Bali, only a short way from Kuta and Denpasar, and is with it's beautiful location and architecture one of the most characteristic temples on Bali. According to legends it was built in the 16th century by the Javanese priest Sanghyang Nirantha. 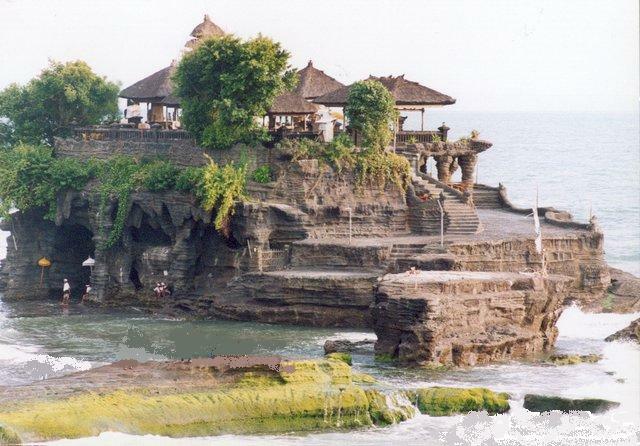 Tanah Lot means something like "sea temple of the earth"). He also transformed his scarf to the holy snakes that still today is said to guard the temple. Tanah Lot means something like "sea temple of the earth." The temple sits on top of a cliff, only Hindus are allowed to climb the stairs to the top. For the Balinese this is the most sacred of the sea temples, and one of many sea temples along the coast of southern Bali. These temples are built on locations where the next one in the chain is visible, and on a clear day you can see Pura Luhur Uluwatu further south from here. At low water you can walk out to the temple, while at high water it is isolated by the sea. The temple sits on top of a cliff, only Hindus are allowed to climb the stairs to the top. (source: Daily Om and Pura Luhur Uluwatu - by Made Wijaya). Refer to My Bali Diary - By B Raman - saag.org). (Note: Recently an Ancient statue of Lord Vishnu has been found in Russian town of the Volga region. For more refer to chapter on Suvarnabhumi). "The divinity of Jesus is made a convenient cover for absurdity." A pilgrimage through Northeast India reveals a rich Vedic lifestyle threatened to the core by sometimes violent Christian insurgents. In December of 2003 a few of us from the Vedic Friends Association traveled through Assam, Arunachala Pradesh, Nagaland, Manipur, and later Sikhim on a spiritual journey. Unfortunately, the trip wasn't all love and light. The local tribesmen in that part of India face a major threat from sometimes violent Christian insurgents whose conversion efforts too often result in murder and mayhem. This article is about the plight of these noble people and the danger they face on a daily basis from religious zealots who have no notion of the vast spiritual heritage they debase or the terrible consequences they incur for doing so. During our trip, the tribal people seemed less concerned with aggressive Christians than they were impressed with us--white Americans who had been raised as Christians but had now chosen to follow the Vedic and Hindu path of spirituality. Our presence in their cultural rituals touched them deeply. They asserted again and again that we were the only Westerners they had ever met who weren't hell-bent on convincing them to give up their traditional ways of living and convert to Christianity. Many tribal cultures all over India are immersed in Vedic traditions, or contain elements that are carried over from the Vedic way of life. Today, however, the world is slowly coming to understand that Christians are thoroughly infiltrating the Northeastern region. Nagaland in particular--long famous for its ancient, ascetic, Naga culture--is an area where conversion tactics are most successful. 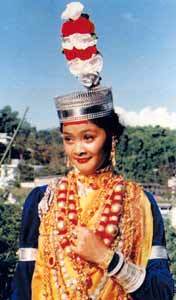 According to census figures just released for 2001, Nagaland is 90 percent Christian. Many tribal people of India's Northeast are being hammered with the idea that if they want to progress into the 21st century, they must become modern like the Westerners. Since most Westerners they meet are evangelical Christians, they presume that Christianity is the essence of the Western value system and that they must therefore become Christian to be progressive. Abuse of alcohol and drugs is escalating and so is sexual promiscuity, fueling the spread of AIDS and causing more abortions to be performed. Abortion never used to be an issue in this part of India, and AIDS was almost unheard of. In one area of Arunachal Pradesh that we visited, new converts to Christianity were being told to not associate with their "heathen " friends and neighbors. They were also being discouraged from participating in their traditional festivals, dances and music, or even joining in community harvests and group house raisings. They were being motivated to wear only Western clothes, listen only to Western music and celebrate only Western holidays. This was creating divisions in families and communities, and creating social unrest. The indigenous cultures of India are treasures worth saving. They offer an important connection to the best India's past has to offer. It seems to me that the social and environmental problems of the country are not due to some inherent problem in the traditional culture itself, but rather in the choice many make to abandon this culture. Remaining fixed in the true principles of this ancient lifestyle and passing these principles on to the next generation certainly can't hurt India in its attempts to carve a future which is at least as powerful as its past. (source: Fighting to Preserve a Tribal Heritage - By Stephen Knapp and hinduismtoday.com January/February/March, 2005). Refer to The Persecution Industry: What are the stakes? - By Ramapriya Abraham - crusadwatch.org. Why this war on Hinduism?- These two (Christianity and Islam) hostile ideologies, flawed because they are not based on human experience but on spurious and fantastic literature, are based on a priori illusion that human beings are genetically flawed and can be redeemed only by symbolic conversion and the acceptance of their bookish deity. For instance, if the Christian and Islamic clergy do not propagate and force their sterile ideologies down the throats of unsuspecting or helpless people through dubious means, or do not force them to stay on with censure and punishment, their religions would be wiped out in decades. Europe is a primary example. (source: Why this war on Hinduism? - By George Thundiparambil - christianaggression.org). Refer to From De Nobili to Clooney: The Christian Methods of Inculturation and American Christian Fundamentalist Leader Calls for Global War - By Yoginder Sikand - christianaggression.org). Also refer to and Missionary's Dark Legacy and Dutch Christians Target Hindus for Conversion. Refer to The War of Religions and The Saint Bartholomew's Day Massacre. "Missionaries are perfect nuisances, and leave every place worse than they found it." Zeliangrong Heraka Association believes that ‘Loss of religion is loss of culture and loss of culture is loss of identity’. Genuine cultural identity of any society is comprised of indigenous religion, native culture, language, glorious history of forefathers, art and crafts, rites and rituals, traditional village institutions and customary laws. We work to enhance every component of Naga identity. Today, it has become a fashion in Naga society to talk about Naga identity while cutting the roots of every component that constitute genuine Naga identity. Wearing costly dresses, singing pop-songs, drinking foreign whisky and rum, disco-dance, beauty pageants, violation of civic rules and disobedience in the name of civil liberty, indecent dress and heinous deeds, etc. are not the symbol of Naga identity. Nagas have been living with Hindu society from centuries and they are not converted to Hindu Dharma. Rather, Hindus encourage us to preserve, protect and progress our own indigenous religion. The Protestant Church and Catholic Church are looking towards southeast Asian countries particularly India for nuns and missionaries. This is the reason that all the denominations of Catholic and Protestant Churches are pouring money to increase their numbers in India particularly in Northeast. If we wish to save Naga society from doom and downfall we have to return to our forefathers’ root. Westernisation in the name of modernisation is dangerous. Nagas have been living with Hindu society from centuries and they are not converted to Hindu Dharma. Rather, Hindus encourage us to preserve, protect and progress our own indigenous religion. Hindus believe in co-existence, not in survival of die fittest. Today the world is changed. 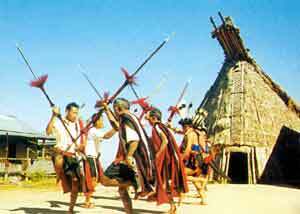 In 1997, a team of 22 Japanese scholars visited several places in Nagaland and did video-recording of Naga customs and traditions. It was a part of their research to revive their ancient faith and culture. Americans, Britishers and other European Countries are researching and working hard to revive their forefathers’ religions and cultures. They have identified that lack of spirituality and destruction of joint family system, have given rise to major problems at national and international level. The recent failures of USA in domestic and international conflict managament and attack of Al-Queda on World Trade Centre on 11 September 2001 have strengthened the fear of holocaust in the mind of Americans. They are, therefore, organising Pagan Conferences to revive ancient faith and culture. The number of Church-goers in western countries are sizeably diminishing. The Protestant Church and Catholic Church are looking towards southeast Asian countries particularly India for nuns and missionaries. Several of Naga missionaries and nuns are working in America, Britain and other American and European sub-continents. Catholic Church is mostly dependent on India for Catholic priests and nuns. This is the reason that all the denominations of Catholic and Protestant Churches are pouring money to increase their numbers in India particularly in Northeast. We must protect our religion and culture from being extinct. 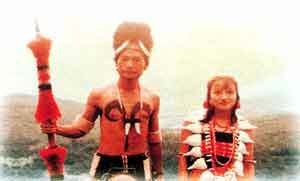 (source: Westernisation threat to Naga Culture - By N.C. Zeliang - organiser.org). For more refer to Crafts of North-East India an Also refer to India is now 6% Christian - World Christian Database. Refer to VINDICATED BY TIME: The Niyogi Committee Report On Christian Missionary Activities - Christianity Missionary Activities Enquiry Committee 1956 and The Sunshine of Secularism. Also refer to chapter on Conversion. and Christians have Destroyed Various Ethnic Cultures of the World - christianaggression.org. Refer to Truth can kill the West - By M.S.N. Menon - Truth can kill the West—the truth about Christianity. It is all in the Dead Sea scrolls. Though the East Virginia-based organisation The Terrorism Center - is an obscure outfit, the RSS is not ready to let the "issue" pass. "It has been there on the list for a while now. We had written to them when we got to know of it and asked them to remove us from the list, but they have not," said spokesperson Ram Madhav. Inquiry finds Koran 'mishandling' - The US military says it has identified five incidents in which the Koran was mishandled by American personnel at the Guantanamo Bay prison camp. Refer to Patriarch denounces U.S. evangelicals in Iraq - By Tom Heneghan, AlertNet Date: May 19, 2005). Also refer to Dinosaurs, evangelicals and the state - By Justin Webb - BBC).Refer to The Swami Devananda Saraswati Interview with Rajeev Srinivasan - christianaggression.org. Refer to A crime worse than Modi's - By Saisuresh Sivaswamy - rediff.com. For the Plight of Hindus refer to Hindus in Bangladesh, Pakistan and Kashmir - By Hindu American Foundation HAF. Christian evangelicals are plotting to remake America in their own image - By Bob Moser - rollingstone.com and Dominionist. Refer to Christian Supremacy: Pushing the Dhimmitude of Non-Christians in America .